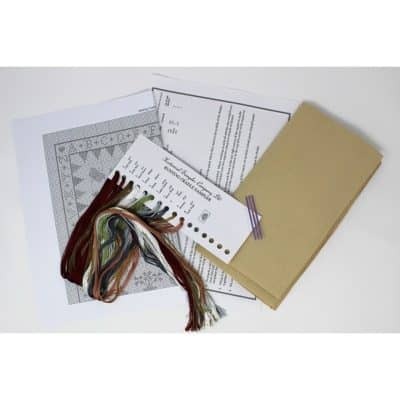 A counted cross stitch kit containing Zweigart fabric and pre-sorted DMC threads. 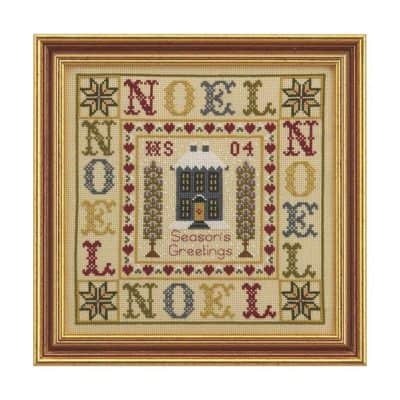 A very traditional Sampler style design featuring a house surrounded by festive motifs. The design is stitched using a traditional colour palette.